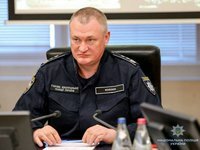 The National Police of Ukraine has recorded at least 50 fixed matches with the participation of most professional football clubs. "We have recorded at least 50 such football matches," Head of the National Police of Ukraine Serhiy Kniazev said at a briefing in Kyiv on Tuesday. Sports functionaries from 35 out of 52 professional clubs from the Premier League, the First and Second Leagues were involved in the organization of fixed matches. In particular, such clubs as Zorya, Vorskla, Oleksandriya, Zirka, Volyn, Obolon, Arsenal-Kyiv and others are involved in such matches.